I have no idea if and how Thursday passed me by. I’m currently nursing a hangover on a train back from giving an RPS talk in Manchester. It seems everyone on my carriage loves cheese and onion crisps and ran a marathon today...the odours are interesting. I ve shot a few artists now and meeting inspirational figures is always a blessing . The last time I had a browse at Sarah's work was when I was studying art A level and I recall loving her ballsy and iconic approach. It felt genuine and strong. I was expecting her to be very confident and perhaps controlling of the shoot. She greeted me warmly (avec cute dogs) and instantly made us feel welcome. She explained she had requested a female photographer and we discussed her experiences being photographed. I shared the ideas I had and asked if she had any and what she thought. To my delight she was open minded and explained she was just expecting a simple formal portrait and was excited by the prospect of being playful and creative. 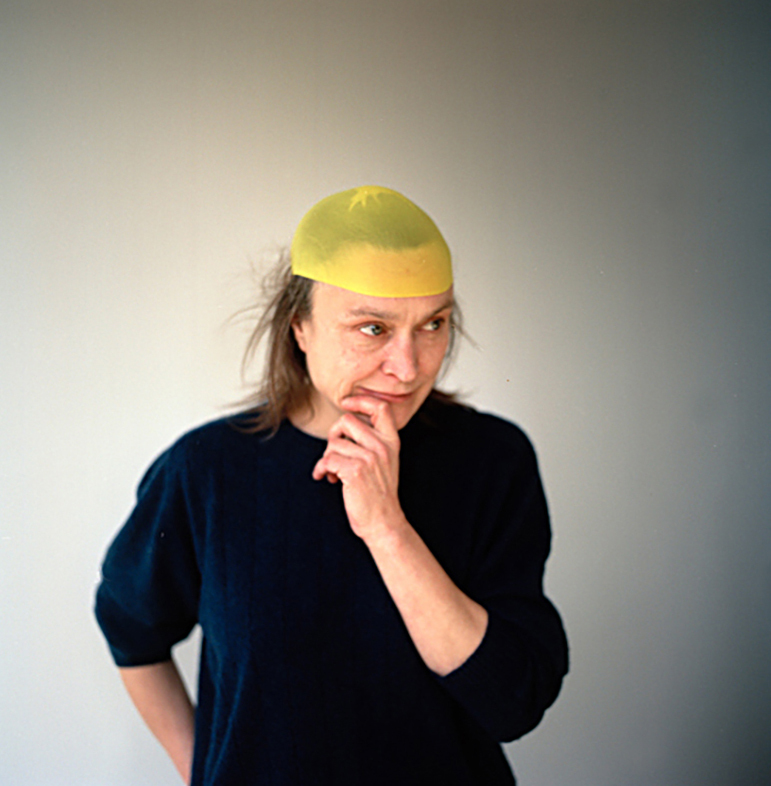 We collaborated ideas and we decided to shoot using her yellow tights as her new work heavily features yellow. Sarah is a rare woman. She has an absolute transparent modest confidence. She really doesn't care about what others think in an innocent and non-aggressive way. I love it when people appear so comfortable in their own skin and this made her so effortless to shoot. Her intense gaze was the icing on the cake. What a legend.